One revolution begets another. 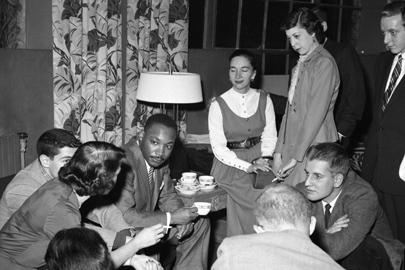 While this space can’t comment on how good Martin Luther King, Jr’s cups of coffee were, it does know that coffee, and tea, found its way to the center of his many talks with family, police, activists and leaders. It is reported that Martin Luther King, Jr, – man, husband, father, pastor, civil rights activist – had a major defining moment while he was making himself a cup of coffee one evening. Reported on www.LisaSingh.com, this night was in Montgomery Alabama on January 27, 1956. 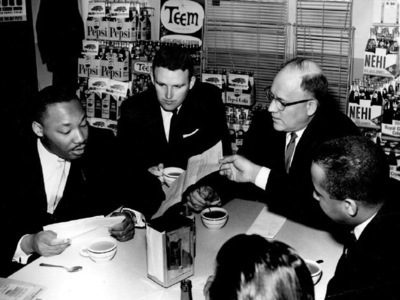 Dr. Martin Luther King Jr., left, has a coffee break with Chicago Police Superintendent O.W. Wilson in Wilson’s office at 11th and State Street in Chicago on January 27, 1966. However, we each stand up in our personal and professional lives, there exists what we turn to, to bolster us, to be a helper along our way. 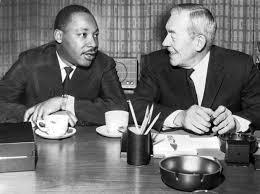 Dr. King was no different, coffee enabled him as it enables us in the revolution of ourselves and passions. 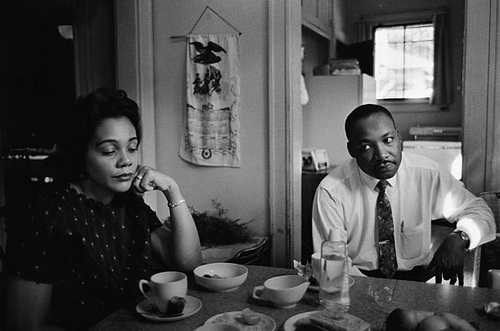 This entry was posted in coffee and tagged civil rights, coffee break, jr, martin Luther king, mlk. Bookmark the permalink.